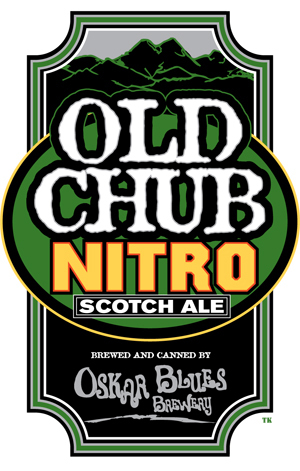 This is the first nitrogenated version of a canned beer from Oskar Blues. Our panelists tasted an 8% version of the beer, but future releases will be 6.9%. Deep mahogany robe has reddish highlights and is topped with an amazing mochalike head that, like a genie, can’t wait to escape from the can. Fresh, very subtle nose leads to a rich, malty flavor with a slight acidic finish that keeps the beer from being too sweet. That said, it is exceptional with candied nuts, blue-veined cheese and black bread infused with cherries. When the head does dissipate, it leaves a gorgeous lace. The opening notes offer plenty of evidence about what’s inside. With a hearty pfffffffffffft, a cloud of nitrogen-infused foamy richness gently peeks through. Pouring is soft and easy. A rich head graces the surface and red darkness emerges beneath. Rich and malty aroma and flavor typical of a Scotch ale soothes the senses. Alcohol at 8% is warming. It’s an extraordinary collage that achieves balance. It’s as though the nitro was intended for this particular beer all along. Who would’ve thought to get it this right?